How China limits the use of Chinese currency. Currency control takes two forms, administrative control, and market-based control. Administrative control, the government restricts currency transaction like transfers through prohibitions, approval procedures, and explicit quantitative limits. The administrative is the form of control China has of its currency. One of the ways China controls money is by regulating all trading inside the country between foreign currencies and the RMB. The Central Bank of China is under the guidance of the Polit Bureau which means that it does not have liberty to make any decisions without consulting the Polit Bureau which is part of the central government. The government also regulates all this trades through licensing businesses involved. The other way is by cutting or restricting connections between offshore and onshore market. The Chinese exporters pay in U.S dollars, but they are not allowed to keep the dollars. The government requires them to exchange the foreign currency for the RMB using the official exchange rates set by the PRC. Therefore, all the hard-currency earnings from the massive exports of China are handed to the government. 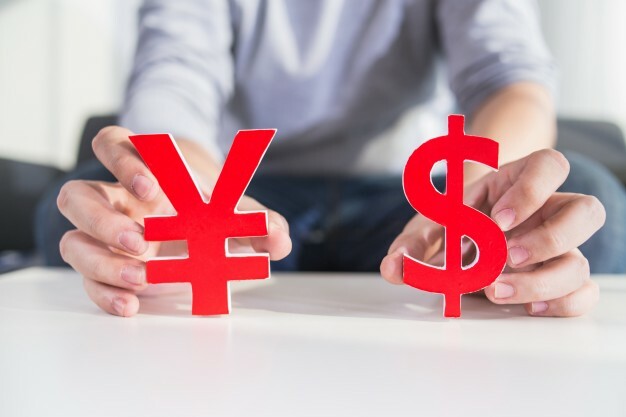 The government also adopted a policy of gradually developing trading using yuan, however restricting the flow of yuan getting out of China (Xiao and Kimball, 2). Renminbi (RMB) is the official name for the Chinese currency while Yuan is the unit of the currency just like the pound is the unit for the currency sterling. CNY and CNH are both codes for Yuan but differ in their usage. CNY is the code used onshore and can only be traded mainland. CNH, on the other hand, is the offshore code for the Yuan currency and is traded outside China. The CNY is under strict control from the PBoC regulating its movement, the CNH, on the other hand, is not controlled strictly and is allowed to move freely. CNY-NDF is the Non deliverable forward contracts traded on the offshore market, therefore, using the CNY (Hastings). One of the main reason why the McDonald’s bond was of such significance is that it is the first ever issue to be dominated in RMB by non-Chinese and non-financial firm at the global market in the Dim Sum Bond market. It was also a sign for the global companies which would want to operate in China, that they have a chance to fund and run businesses in Chinese RMB. It also signified the start of a new funding way for international companies operating in Hong Kong to raise capital for their businesses operations. The issue was also important because it would be a crucial contribution to the development of the off-shore RMB debt capital market (Kuo and Smith). Will the RMB become a truly global currency? The RMB would become a global currency if there were no restrictions by the Chinese Government. The limitations are the onshore and the offshore differences in currency, capital market restrictions and the difference in treatment for non-residents, where international organizations/firms are highly restricted such that there is no easy way on utilizing the currency like in any other country while favoring the local companies. The Chinese government also has no intentions of making their currency a global one, especially as a reserve currency. Therefore any hopes on this, are extinguished.